Publicityclerks now renamed as adclerks is one of the best advertisement selling marketplaces to buy & sell online advertisements. Adclerks allows the bloggers / publishers to sell their ad spaces to the potential advertisers and it helps advertisers to find top blogs to advertise their products and services on its ad space(s). Publicityclerks is considered as one of the best alternatives to buysell ads which is the leader in the industry. While buysellads only accepts branded websites, adclerks is little bit lenient in approving website(s). I’m an approved adclerks publisher and I’ve sold the ad spaces on my blog few times on publicityclerks. In this article, I will share my ad selling experience on publicityclerks. This article will help you to get approval from publicityclerks team and sell your first ad space successfully. Adclerks is the UK based self-serving advertising platform led by CEO James and also they have an awesome team of digital experts who continuously work to provide their endless services to the publishers and Advertisers. Publishers / bloggers have a chance to sell their site ad space through adclerks. 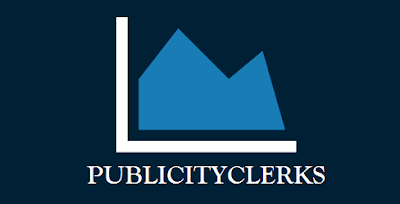 Publicityclerks is already loaded with tons of advertisers who are interested in buying the ad spaces of the valuable blogs. Apart from being a successful publisher of CPC, CPM networks such as Google Adsense, Infolinks, selling ad space(s) on your blog directly to an advertiser will make you a successful blogger. Not all the blogs are eligible to sell direct ads while even an ordinary blog publishes Google ads. Potential direct advertisers will look out for several factors of a website/blog before they decide to advertise on it. So, selling direct ads will increase the value of the blog. While it is hard to find potential advertisers directly and maintaining ads after the sale, sites like adclerks ease the job by showcasing our blog to the potential advertisers and automating the process of selling ads. Also, adclerks helps the advertisers to find the best blogs and website in different categories at one place. Advertisers can now come out of fear of getting cheated by low-quality blogs/sites/owners. Only high-quality blogs will be approved by publicityclerks. This includes quality content, branding, neat layout and other misc. factors. The minimum traffic requirement is 100000 pageviews per month. The blog should receive quality traffic from search engines like Google, Bing, Yahoo, Ask.com. Sites that receives low-quality traffic from traffic exchange sites and generate traffic using bots will not be accepted. Sites should have its own domain. So, hosted blogs like Blogspot, wordpress.com, Tumblr, Weebly are not allowed. Only the sites written in English are eligible to be a part of publicityclerks community. Sites with banner farms will not be accepted. Ensure that your blog/website generates at least 100000 monthly page views before applying. Blogs with good site design and layout will give a good impression to the reviewer that eventually increases the chances of getting the website approved. Your blog should have enough true content in order to get approved. Incomplete sites will not be accepted. Try to remove excessive advertisements placed on your blog before applying. More social media fans will give a good impression on your blog. While applying, give a good reason why your website should be approved and a catching description. Creating an account on publicity is very simple. In the signup form enter your name, email address, fill the desired password and click register. Publicityclerks will send a verification mail where you have to click the verification link to activate your account. 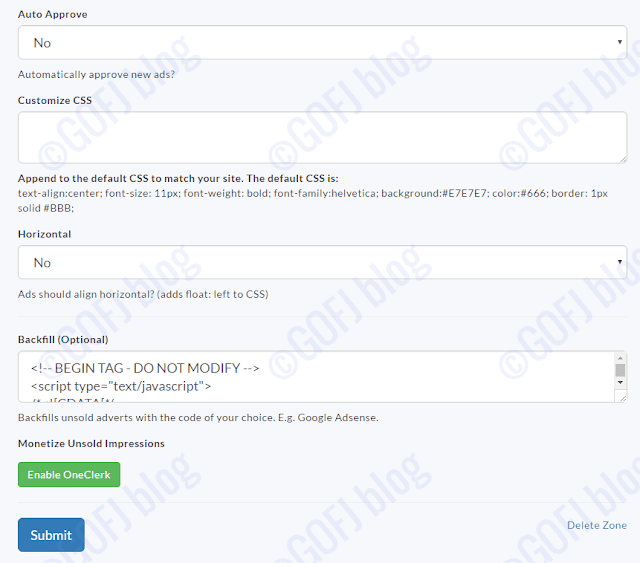 After activation, it’s now time to add your website to submit for approval. To add your website, click publishers > add website. Fill all the necessary details on the form including blog URL, blog name, description, category, official social media pages and click submit. Publicityclerks team will review and send approval mail with 48 hours. Once your website is approved, the first job to do is to create ad zones. To do so, go to my websites > click the blog name and click ad zones. Then click create new ad zone. 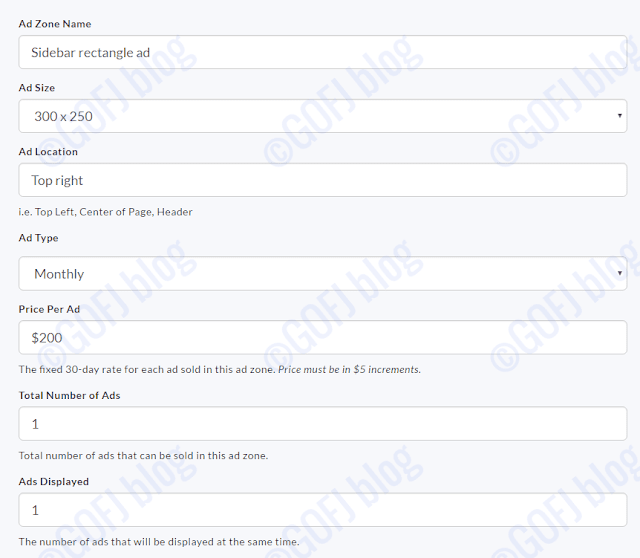 Name the ad zone, select the ad size, mention the ad location on the form. Then set the ad price. There are two ways you can sell the ad space. Method one is setting a fixed monthly charge for the ad space no matter how many impressions it receives and the second one is setting a rate for thousand impressions or CPM. By setting CPM ads advertisers have chances to buy the impressions of the ad space. So, if the ad space receives 100000 impressions per month with $1 CPM set, the advertiser might buy all the impressions for $100 or the advertiser will buy the impressions needed based on their necessity. If ad zone is set with monthly price, only one advertiser will purchase your ad space. By setting CPM ad type multiple advertisers might buy the ad impressions which will increase the chances of the ad space being sold. Prevent adding more than one ad per ad space unless your blog receives more than 500K impressions. Select ‘no’ on auto approve option to reject low-quality advertisers. Publicityclerks allows adding back-fill codes if the publishers wish to display ads from other ad networks or implement other codes that match the ad size. The great feature in publicityclerks is it will automatically monetize the unsold ad spaces with CPM ads. So, whether sold or not the ad space will make money once implemented. All you have to do is enable oneclerk. After filling all the information, click submit. Now the ad zone if successfully created. Copy the code displayed on the next page and place it on your website where you wish to show the direct advertisement. Create multiple ad zones to sell more ad spaces. Your website will be available on the marketplace list after 24 hours from the time of submission. It might take up to 15 days for it to display the exact number of impressions. So, it might take some time for the advertisers to find your website on the marketplace. While getting approval is a headache to some of the publishers, selling ad space is a double headache for most of the publishers. Selling ad space is not very easy as you think. 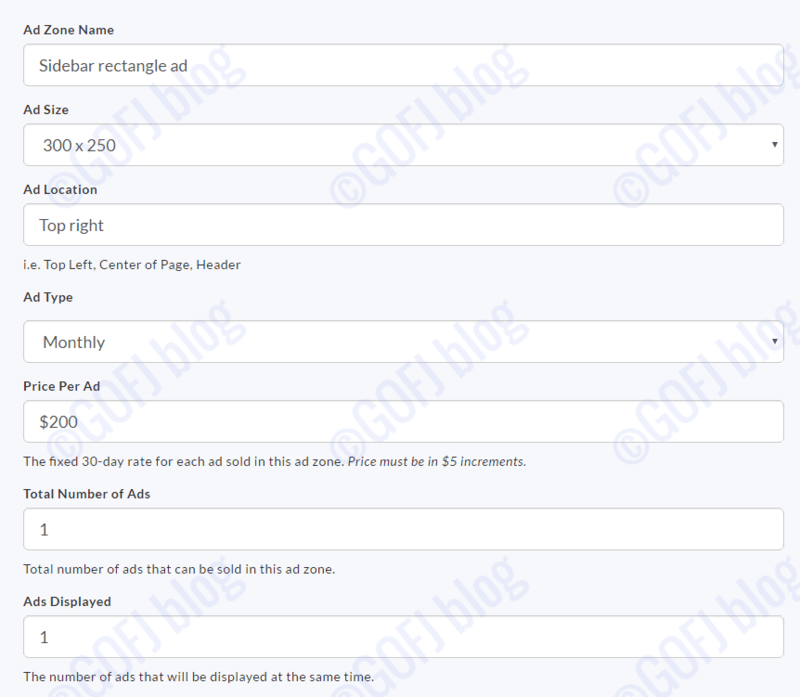 You must follow the steps mentioned below in order to sell the ad space. Create ad space(s) above the fold because advertisers love to place their ad above the fold which will increase the visibility and CTR. More leads and sales will make the advertisers happy. Here is the guide to best ad placement. Do not scare the advertisers by setting a high price for the ad zones. 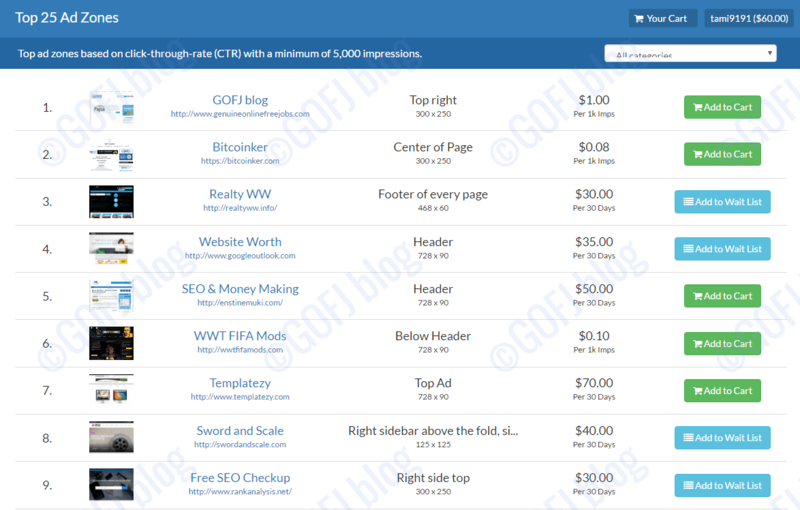 Make it somewhere between $0.50 to $2 per thousand impressions. Set high price for ads spaces above the fold and less price for the ads placed below the fold. Do not fill the page with ads. Limit the number of ads that appear on the page. This includes ads from other networks. Give a nice description to your blog. Give a reason why advertisers should buy the ad space of your blog instead of boasting about the stats. Mention the exact position of the ad spaces. Set CPM ad instead of pay per month ad. Add onsite cart to notify that you’re selling ad spaces on your site. If the advertiser finds the site interesting, they will purchase the ad space. Once the purchase is completed, publicityclerks will notify us through e-mail regarding the ad sale. If you’ve set Auto-approve “Yes”, then the ad will immediately start to appear on the sold ad space. 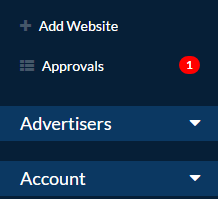 If you’ve set “No” to auto approve ads, you must log into your account in order to approve the ad. To approve the ad, click publishers > approvals. The ad that will be displayed after approval will be given on the page as shown in the screenshot given below. Once approved, the ad will come live immediately as shown below. The ad will appear for 30 days or until it is displayed for a fixed number of impressions. The stats section on publicityclerks helps both the advertisers and the publishers to analyze the performance of the ad zone(s). The publishers and advertisers can log into their anytime to check the performance of the ad zone. After selling the ad zone for the first time, it will be somewhat easier to attract the advertisers if the ad space performed well in the previous sale. The top performing ad space(s) will be displayed in the top 25 ad zones on publicity clerks which will be targeted by the advertisers. Try to make the ad zone gets displayed on the top 25 list in order to attract the potential advertisers. The top ad zones listed is based on the click through rate. So, higher the CTR received by the ad zone, the higher it will be ranked in the list. Contact the publicityclerks support to get your blog/website listed on the category bundle. This might help to attract advertisers. 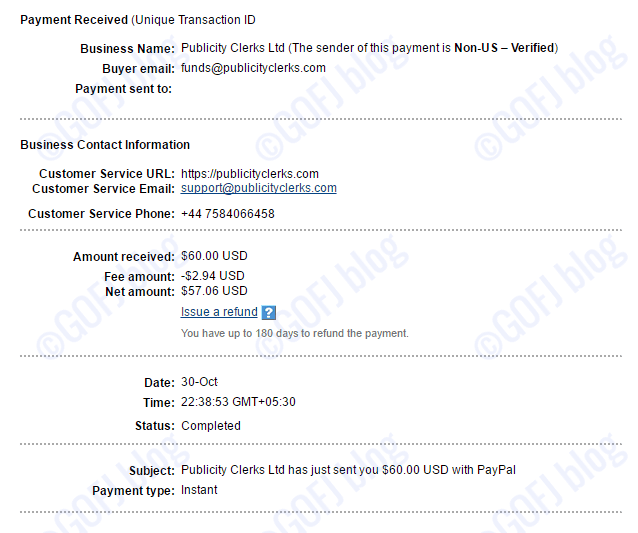 Publicityclerks process the payments through PayPal. The minimum payout is $25. Payments will be processed on the month end if requested. Look at the publicityclerks payment proof given below. We can use publicityclerks along with Google Adsense on the same page without any problem. Putting too many Google Adsense ads on a page will reduce the chances of the ad zone(s) being sold. Depending on the niche Publicity clerks will generate more revenue compared to Google Adsense. Here are few profitable niches for making more money through pubilicityclerks compared to Google Adsense – SEO, Web development, Web designing, internet marketing and more. Publicityclerks is one of the best legit sites to buy & sell online advertisements. It helps the advertisers and bloggers to create a good relationship between each other. Publicityclerks site interface is excellent which helps both publishers and the advertisers to do their job easily. Publicityclerks helps us by simplifying the process of selling and buying ads automated. It helps the publishers to list their blog in front of the potential advertisers which reduces the stress of finding the direct advertisers. Also, it helps the advertisers to find the best blogs along with its stats like Alexa rank, real impressions, social media profile listed in the same place, these stats assist the advertisers to make correct decision of choosing the right blog to advertise. Blogs listed on categories and ad bundles help the advertisers to find the relevant blogs easily. Publicityclerks never failed to pay on time. PayPal helps almost everyone in this world to receive their payment. The availability of onsite cart feature will help you to notify the external advertisers about ad space sold on your website/blog. The unsold ad spaces will be automatically monetized with CPM ads if enabled. So, publishers can make money even if the ad space is unsold. Publicityclerks have great support team. Publishers have to pay 25% of their revenue as the commission/success fees to publicityclerks. So, if the publisher sells an ad space for $100, only $75 will be credited to his/her account. Chances of selling ads will be low. Most of the publishers still struggle to sell ad zone for the first time even after months. I’m an adclerks publisher and I’ve sold my ad space few times. Adclerks has a great team led by innovative CEO. Their support team will be available anytime to assist you to buy & sell ad spaces. Adclerks is a developing direct advertising platform which is going on introducing the new interesting features in direct online advertising and I believe that it will make some big changes in the online advertising industry in the future. If you have a quality blog, I’m sure that your website will be approved and you will sell the ad spaces on your blog.